There is a reason why the Rhine gorge between Reichenau and Ilanz is known as the ‘Swiss Grand Canyon’. It is one of the most spectacular landscapes in Graubünden and is unique in the Alpine region. In the wild gorges, you can experience pure adrenalin while river rafting or take a hike along the craggy rock formations. An easily accessible hiking trail and several biking trails along the Rhine also present excellent opportunities to have a barbecue, create stone mounds or dip your feet in the water. If you would like a little more comfort, you can also explore the Rhine gorge by train or PostBus. More information about the package "Swiss Grand Canyon"
One trail – three venues. The Wood & Water culinary trail combines activity with indulgence. You start off in Flims Waldhaus, where you can savour your first course in the brewery cellar of the Aktienbrauerei. Then you make your way past Lake Cauma and along the Rhine gorge to Conn, where you can tuck into your main course. Taking a little detour to the Il Spir vantage point, you finally reach Lake Cresta. Here, you bring the trail to a close with some dessert. The approximately 1.5-hour hike from Valendas to Versam in the heart of the formidable Rhine gorge is an amazing experience. The trail mostly follows the bends of the Rhine, traversing small sections of forest and taking you past expansive meadows. We recommend using the practical Ruinaulta ticket for the return trip. This allows you to use public transport in and around the Rhine gorge for an entire day. The region around the Rhine gorge offers a wealth of adventures for biking enthusiasts. Whether you’re a cross-country or enduro specialist, or looking to take a pleasant biking trip with your family, you will find the perfect option for you. With various elevation profiles, difficulty levels and ground conditions to choose from, there is really something for everyone. Those who prefer a somewhat gentler experience can explore the distinctive region on a TREK electric bike. We have installed charging stations at various locations around the region, so you can charge up your battery whenever you like at no cost. River rafting in the Rhine gorge: a thrilling experience. Explore the impressive, untamed Ruinaulta by rubber raft from Ilanz to Reichenau. This is one of the most exciting routes in Europe for canoeing, kayaking and river rafting. From the water, you can enjoy the steep cliffs and craggy rocks, while the rapids and spray ensure a fun, refreshing experience. You can start off on a whole-day or half-day trip in the company of experienced guides with various embarking and disembarking points. Bookings can be made via the Flims, Laax and Falera guest information centres on +41 (0)81 920 92 00. Since May 2017, the rangers have been regularly on the move in the Rhine Gorge: they inform visitors about nature and biodiversity in the Rhine Gorge as well as the different habitat requirements with the aim of protecting sensitive species from disturbance. Starting in June, you can take a look over the ranger's shoulder and experience her everyday life in the Rhine Gorge at first hand at "On the way with the rangers". Meeting point: Castrisch railway station at 09.30 a.m.
You can find a number of viewing platforms around the gorge, presenting unique views of the natural phenomenon. The Il Spir viewing platform is located just a few minutes from Restaurant Conn. The platform was developed by Chur architect Corinna Menn and inaugurated in September 2006. 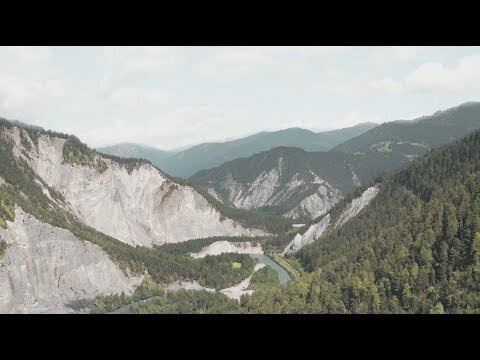 You can savour a unique 180-degree view of "Swiss Grand Canyon" from here. From Flims Waldhaus, you can reach the viewing platform in around 45 minutes on a pram-friendly hiking trail. It is accessible all year round. From the modestly designed Islabord balconies, you can enjoy unique views to the north and over the UNESCO World Heritage Site Tectonic Arena Sardona. You can reach Islabord by foot from Versam. The viewing platform is open from May to October. A natural spiral-shaped elevation winds along the start of the Rhine gorge and offers breathtaking views into the depths of the gorge. The Zault viewing platform is accessible from the hiking trail. It was developed by the Bonaduz engineer Walter Bieler. The viewing platform is open from March to November. Between Laax and Sagogn, the Crap Signina platform sits majestically on a cliff above Sagogn. You can reach it in around 30 minutes from Laax or Sagogn. Panoramic panels provide information about the views over Val Mulin and in the direction of Ilanz. You can also spend some time in comfort here during bad weather, as the platform is sheltered. 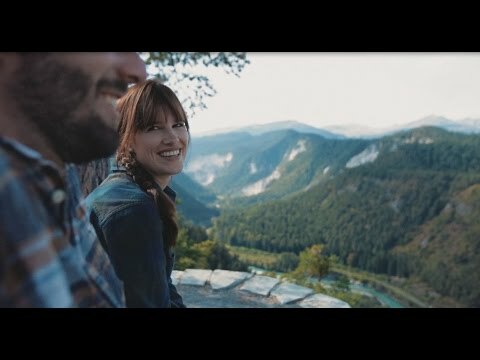 The romantic Spitg viewing platform offers extraordinary 270-degree views of the Versam ravine, the Rhine gorge and the mountain landscape around Flims. You can reach the viewing platform from Versam or from Trin station by foot in around 1.5 hours. Please note that the ascent is partially exposed, so it is important to watch your step and have a good head for heights. The viewing platform is open from May to October. You can take the hiking trail from Valendas to reach the Alix viewing platform. Spectacular views of the Rhine gorge also await you here. The viewing platform is open from May to October. The Wackenau viewing platform is located at the end of the vast Rhine gorge. It is named after the castle ruin situated above it. You can reach it from Trin station or from Bonaduz. The viewing platform is open from May to October. The detailed suspension bridge at Trin station which was completed in 2010 is the third bridge in our region to connect the left and right banks of the Rhine. With a length of 105 metres and a passage width of 1.8 metres, the Punt Ruinaulta is one of the longest suspension bridges in Graubünden. A riverside path was developed here alongside the Rhine, allowing hikers to better explore the exceptional Rhine gorge. We recommend Flims Waldhaus, Laax or Trin as the perfect bases for discovering the Rhine gorge. If you would like to marvel at the views from the Il Spir platform, start off in Flims Waldhaus, along the turquoise-green Lake Cauma towards Conn. Restaurant Conn is also located just before the platform. From Laax, you can reach the Crap Signina viewing platform or the Valendas station, where you can venture into the Rhine gorge on hiking or biking trails. As well as visiting the platforms, we also recommend crossing the unique Punt Ruinaulta wooden suspension bridge, which you can reach from Trin. We recommend exploring the Rhine gorge with the Ruinaulta ticket. This allows you to use public transport in and around Ruinaulta for an entire day. The Ruinaulta ticket is available from the Flims, Laax and Falera guest information centres. This special ticket is also perfect when combined with a hike in or through the Rhine gorge. Additionally the Rhine gorge taxi connects the Rhine gorge with Brün. We do everything we can to make your holiday as eventful as possible without any negative impact on nature. To do this, we rely on the support of all our visitors. We therefore ask you to follow certain rules. Please only use signposted trails and rest areas, and take note of protected areas. Please only use fire pits at signposted rest areas and take your litter with you. There are official campsites throughout the region, so wilderness camping is not necessary. We, and nature, thank you for your support.